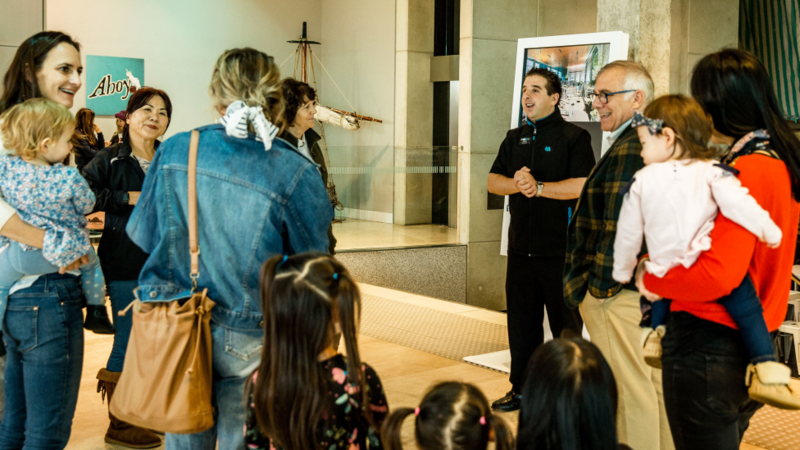 Make the most of your visit to the WA Maritime Museum with a tour. Site accessibility information can be found on the main WA Maritime Museum page. The Oberon class Submarine HMAS Ovens is an authentic Cold War-era vessel situated on Fremantle's historic World War Two submarine slipway. Visitors can find out what life is like aboard a submarine and immerse themselves in Fremantle's secret wartime history. For information on bookings, health and safety, and age restrictions visit the HMAS Ovens page. *Please note that tours are subject to availability so contact us on 1300 134 081 to guarantee your place. Make the most of your visit to the Maritime Museum with a free tour of our galleries. This tour will introduce you to some iconic objects showcased in the Museum. Join us on a special tour where storytelling with objects encourages conversations and evokes memories. This is a specialised tour for people living with dementia and their carers. This tour is also available at the WA Shipwrecks Museum. This tour is designed for visitors who are blind or vision impaired. Participants have the chance to touch and examine specially selected objects from the Museum's collections and displays.